Today's card is my first card for the Die Cut Diva's September challenge. Our theme this month is masculine and our wonderful sponsor is Dies R Us. My card is going to be used as a birthday card, both my hubby and father in law have birthdays this month. I now need to work on card number 2! 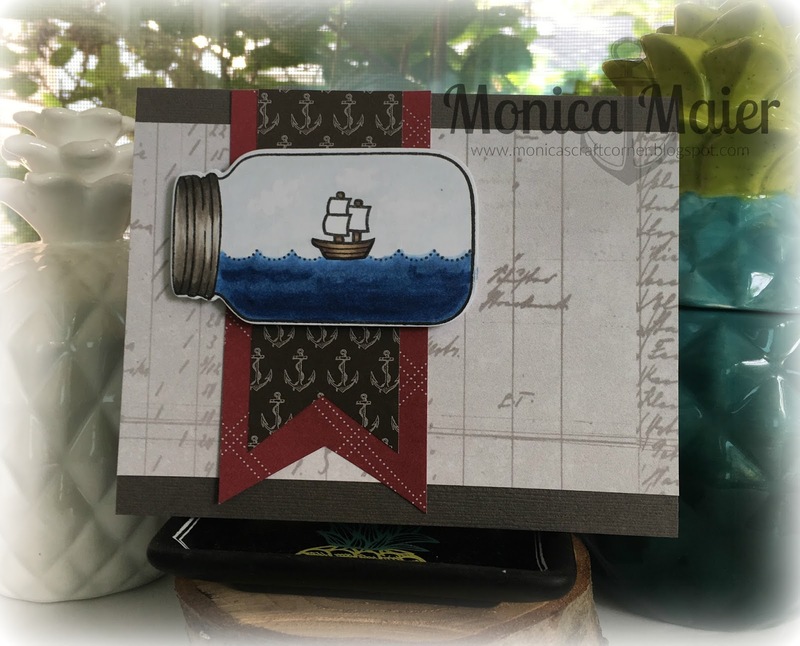 I started my card by stamping the jar and the images inside. Before I die cut the jar I colored my little jar scene using Copic markers. I used a sketch to put my card together and picked some nautical themed papers I had in my stash to put the card together.